You’ve probably seen “retweet to win” contests on Twitter, and maybe even won a t-shirt, concert tickets or marshmallows. But computer engineer Hunter Scott completely automated the idea and created a bot that entered every Twitter contest it could find — 165,000 in total. 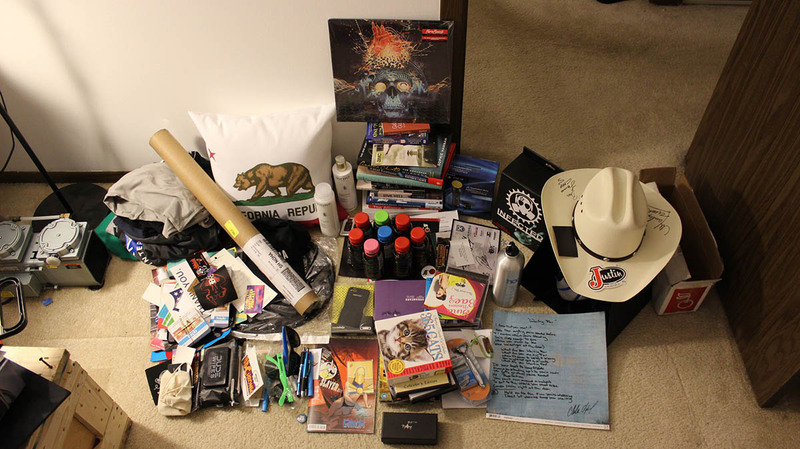 As a result, he claims to have won four contests a day for nine months, for a total haul of over a thousand prizes. A lot of that swag was terrible, and a lot of it he couldn’t accept. But the interesting part was how he allegedly managed to beat Twitter’s system. The most difficult part of this project was preventing the bot from getting banned by Twitter. Scott said that “the most difficult part of this project was preventing the bot from getting banned by Twitter.” The social network has limits in place to stop such activities: unless you have a high follower count, you can only follow up to 2,000 people yourself, for instance. At the same time, you can’t follow and unfollow users too rapidly or retweet too often. Luckily, Scott’s Python script was able to balance all that and follow every single contest it found. He said his win rate was “pretty miserable” considering the low quality of the prizes. He couldn’t claim the best one, a $4,000 trip to New York’s fashion week because of taxes and fact that he didn’t live near New York. Nevertheless, he was fond of a few them, especially a cowboy hat autographed by actors in a Mexican soap opera. “It really embodies the totally random outcome of these contests,” he said. Scott never revealed the name of his Twitter bot, so we’ve reached out to verify his claims — but the prizes appear to check out.